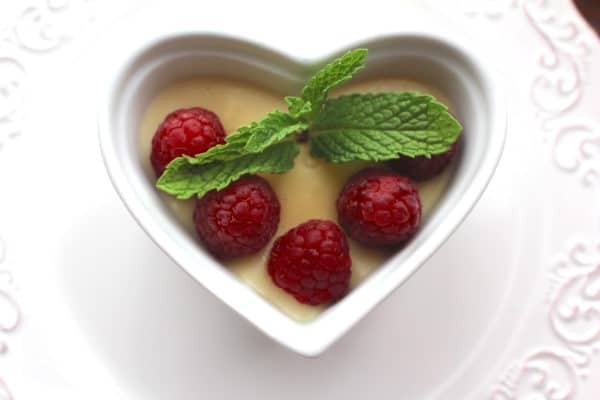 Love, love, love this Homemade Vanilla Pudding (Jackie’s Pudding)! Don here at Recipe Idea Shop, telling you about our family’s delicious Homemade Vanilla Pudding (AKA Jackie’s Pudding). In the first “in-law” family I had there were 4 children. My mother-in-law was the oldest and her brother Jack was the youngest. They grew up in a time when household help was common in the northern suburbs of Chicago. Their cook was Fanny. And a great lady she was. When I met her, she was well into retirement. As the Holden children were growing up, each had a favorite dish that Fanny made. Jack’s was this Homemade Vanilla Pudding. Hence the family’s name for it—Jackie’s Pudding. I’d like to say I learned how to make it from Fanny herself, but it was my first wife Pam who carried on the tradition of making Homemade Vanilla Pudding AKA Jackie’s Pudding for her uncle Jack. I learned to make it from her. The recipe serves 4—there were four siblings, after all! 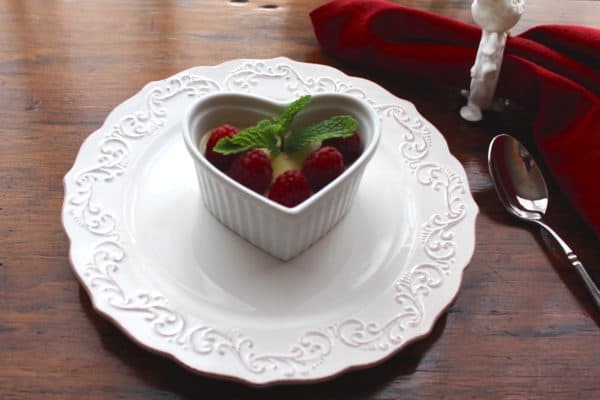 Lois and I use this pudding recipe for vanilla pudding, pie and Chocolate E’claire Cake. It’s terrific! You can make this in a heavy bottom pot directly over the fire if you want to watch it closely and stir it continuously. Otherwise a double boiler works. Takes a bit longer but is more forgiving if you don’t stir often enough. Put the cornstarch in the pan and add the milk. Stir until the cornstarch is dissolved. In a separate dish mix the egg and sugar. Set aside. Begin heating the milk/cornstarch mixture over low heat. Then as the milk and cornstarch mixture heats up, gradually raise the heat to medium or medium high, stirring all the while. When the milk mixture is about 100F, add a couple of tablespoons of hot milk to the egg-sugar mixture; then stir this mixture into the pot. Pour the hot pudding into ramekins. Place a piece of plastic wrap directly on the top of the pudding to prevent a film from forming. Top with berries, or fruit syrup. Serve with a shortbread cookie. Cook the same as above and pour into a baked pie crust. Cover directly with plastic wrap and chill for 2 hours. Top with [url href=”https://recipeideashop.com/lemon-meringue-pie/” target=”_blank”]Meringue[/url] and serve with berries, sliced fresh peaches or slices of poached pears. 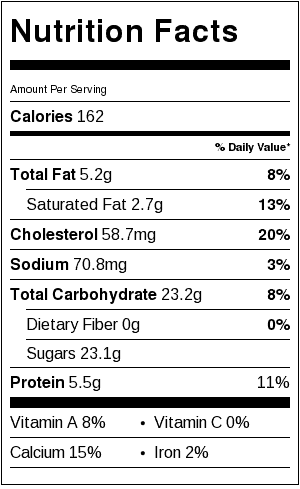 Homemade Vanilla Pudding (AKA Jackie’s Pudding) Nutrition Label. Each serving is about 1/2 cup. This was absolutely wonderful, and everyone raved about it. I was intimidated by the directions at first, but it is not hard at all, and your instructions are perfect. I took it to a dinner party where one of the guests was a former professional chef, and he was highly complimentary. 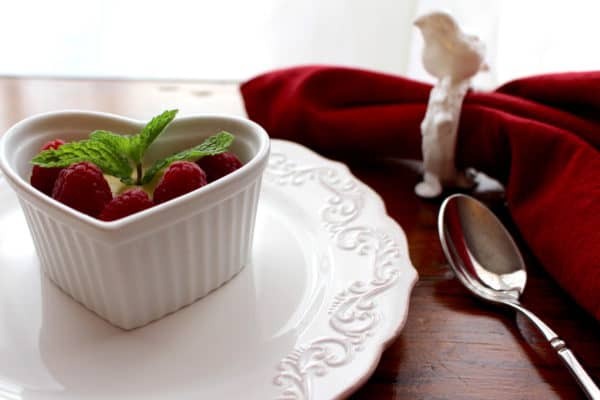 I served it with fresh berries on top and a dollop of hand-whipped some whipping cream (1 cup with 2 tblsp. sugar) — delicious! I added a shortbread cookie on the side, and that paired with it beautifully. Thanks! I’m glad you liked it. It does look a little complicated, but it’s really easy. And I have never had it fail.